04. Where Is Your God Now? But seriously, I’m very anxious to hear this. 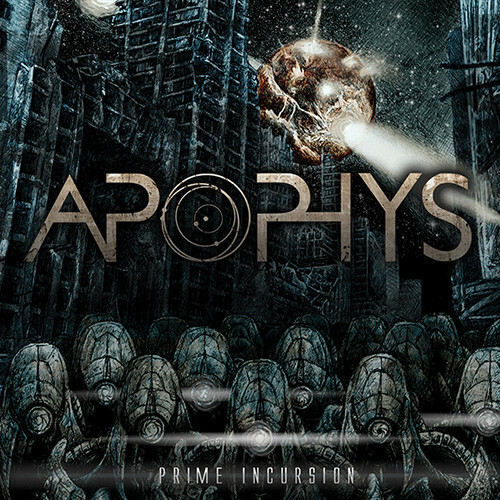 Last week Metal Blade premiered a song named “Requiem for the Absurd” from the forthcoming album by Apophys — Prime Incursion. This is another album I’ve been eagerly awaiting, my eagerness only magnified by the interview I did with the band’s vocalist Kevin Quilligan last month (and yes, I’m mentioning that because I think you should read it). “Requiem” is a death metal freight train with the throttle wide open, but I want to throw myself right in its path and enjoy the experience of being exploded into atoms. But in addition to being explosive, the music is a whirlwind of technical flash… and it’s catchy, too! Prime Incursion will be released on April 7 in North America and can be ordered here. It has been a really, really long wait for new music from the UK’s Theoktony. Their debut album I was released in 2008 (I wrote about it here), and then the band split up. 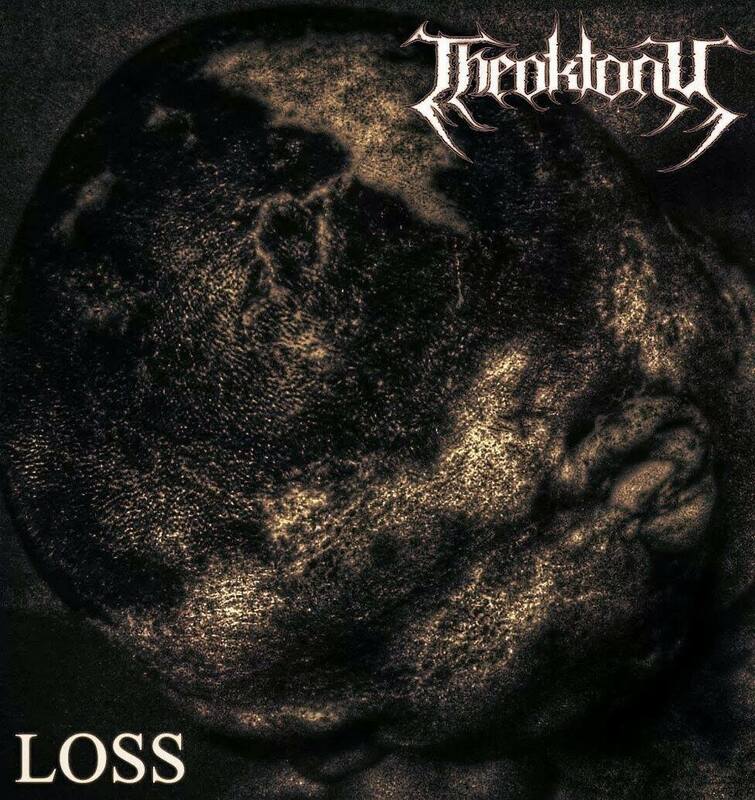 Guitarist Liam Millward continued working on new material and succeeded in recruiting new bandmates (Antony Jody Myers, Anil Carrier, Tom Hinksman, and Tom McKenna), and now the re-formed Theoktony are on the verge of releasing their second album — Loss. It will be made available via Dissected Records later this month. Yesterday the band unveiled an advance track named “Apostate”. It’s a goddamn hornet swarm of seething riffs, blinding drumwork, monstrous vocals, and dark melody. Like that Apophys track, the song is loaded with technical flash and produces a quick but potent hit of adrenaline. Ghold are a UK duo (Paul Antony and Aleks Wilson) whose name I spotted in a recommendation from a Facebook friend. 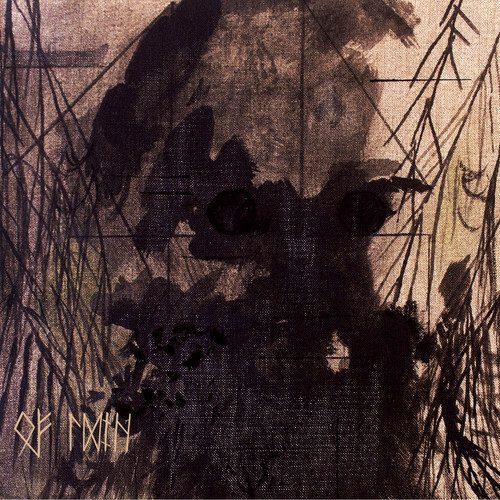 I don’t know much about them, but they have a debut album named Of Ruin coming out sometime soon, and I like the cover art. I also really like a new song they began streaming. The name is “Partaken Incarnate” and it’s a tribal bass-and-drum monster, a rumbling, spine-shaking amalgam of diverse stylistic influences (mainly sludge) and equally diverse vocal expressions. It’s absolutely flattening, absolutely riveting, and absolutely fascinating — and there is a guitar (or maybe a keyboard?) in the mix, it just picks its moment to appear and burn out a few synapses. 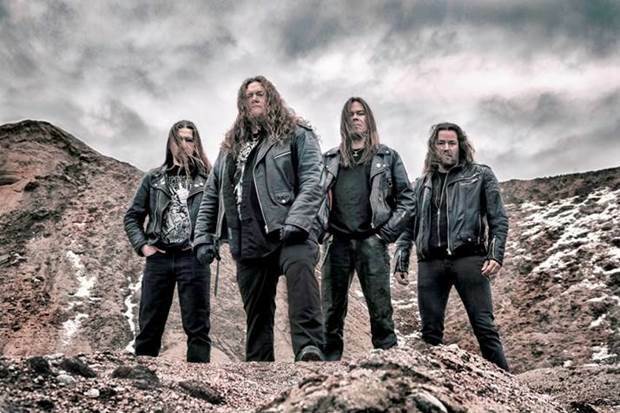 Mexico’s Hacavitz have just posted the title track from their forthcoming fourth album, Darkness Beyond. When I discovered that, I also discovered that they had previously released another track for streaming, “Deadream”. 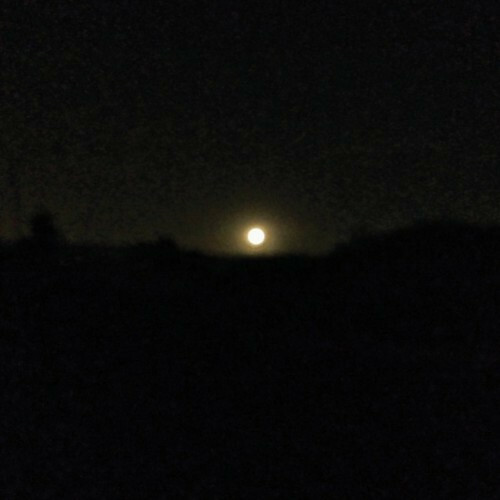 Both songs are on Bandcamp, and I’ve included the player below. 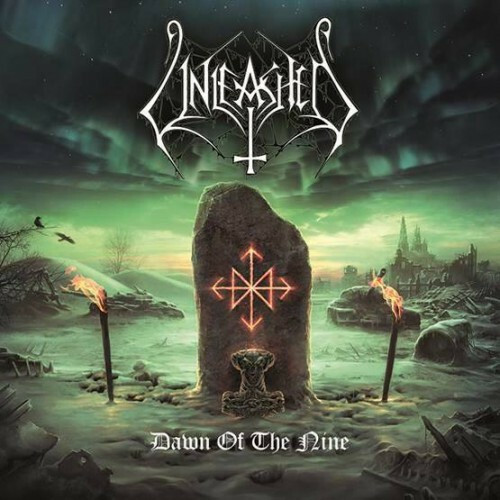 I’m pretty sure this is the first time I’ve heard this band’s music — I gather that their style used to be blackened death metal, and these two tracks still have the weight of death metal in their lower reaches, but they are more firmly ensconced in the realms of black metal. The music is by turns slow and stately, viciously flensing, and hard-rocking (in “Deadream”), with pleasingly tyrannical vocals. It generates an atmosphere that’s thoroughly morbid and ominous, but its bleak melodies will get their hooks in you. Really excellent. Darkness Beyond will be released by the reliable Dark Descent label on February 24. 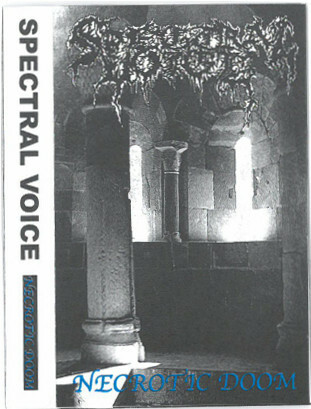 And finally, I bring you a song from a Colorado duo named Spectral Voice. The song’s name is “Rotting Auras” and it comes from the band’s January 2015 Necrotic Doom demo (their third demo overall, with two having been released last year). I’m thoroughly in lust with this song. It’s a lumbering juggernaut of death/doom that’s utterly gruesome and skull-cleaving. Cavernous vocal horror combines with titanic riffs and a pavement-splitting rhythm section to produce one of the best new creations in this genre that I’ve heard this year. When it kicks into gear, heads will bang, and the eerie, echoing guitar notes near the end are a nice touch, too. The demo, which was self-released on cassette, consists of three songs and 22 minutes, and unfortunately it appears that all the tapes are sold out of the band’s online store. But this is so good that I won’t be surprised if we have a label reissue in the future. listen to hacavitz previous albums man, starting with this one :). diffently one of the best mexican bands right now. The intro to that Ghold track sounds so much like P.H.O.B.O.S. that I almost thought “Ghold” was the name of a new P.H.O.B.O.S. track. Nice find! Digging Hacavitz. The whole album kills too. The low end of the Ghold track is giving me tremors. I want more by them. Also, I have to praise the production on that Spectral Voice song. It sounds like it belongs on a cassette! Some may disagree with me, but it fits their sound well. Heads shall bang at the 2:24 mark. The doom wills it.